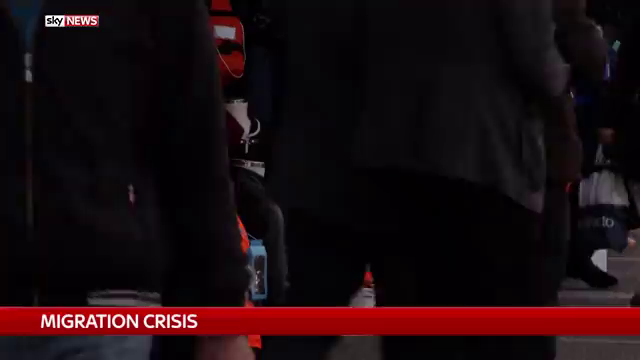 (from The New York Times) BRUSSELS — With more than a million migrants having reached Europe in the last year and many more on the way, NATO stepped into the crisis for the first time on Feb. 11, saying it would deploy ships to the Aegean Sea in an attempt to stop smugglers. But while the decision reflected the growing urgency of the situation, it was not clear that it would have much practical effect on the flow of refugees fleeing Syria’s five-year civil war: NATO said it would not seek to block the often rickety and overcrowded migrant vessels or turn them back, and military officials were scrambling to determine precisely what role their warships would play. Calling on NATO to help patrol the Aegean was first raised as a possibility on Feb. 8 during talks between Chancellor Angela Merkel of Germany, whose country is the main destination for the migrants reaching Europe, and President Recep Tayyip Erdogan of Turkey, which is confronting a new mass of refugees along its border with Syria. [NOTE: As reported by London’s Daily Telegraph, Turkish President Recep Tayyip Erdogan had long proposed the area north of Aleppo to the Turkish border – historically the heart of the Ottoman Empire whose towns and cities have remained closely linked to the economy of southern Turkey – as a “buffer zone” for the protection of Syrian refugees. However, he has been repeatedly rebuffed by the U.S. and Nato, but feels he is now being made to bear the brunt of the consequent destruction of the region by Russian bombs and Iran-supplied troops. (from London’s Daily Telegraph) – Uganda’s President Yoweri Museveni, in power since 1986, was re-elected for his fifth term on Saturday after winning an election marked by suppression and violence. Mr. Museveni, the 71-year-old son of a cattle herder, won 60 per cent of the 9.7 million votes cast in the election, defeating his closest rival Kizza Besigye, who took 35 per cent, according to the Electoral Commission. Election observers, who include the Commonwealth Observer Mission and the European Observer Mission, say the ballot fell short of key democratic benchmarks after the shutdown of social media sites Facebook and Twitter and the arrest of Mr. Besigye. 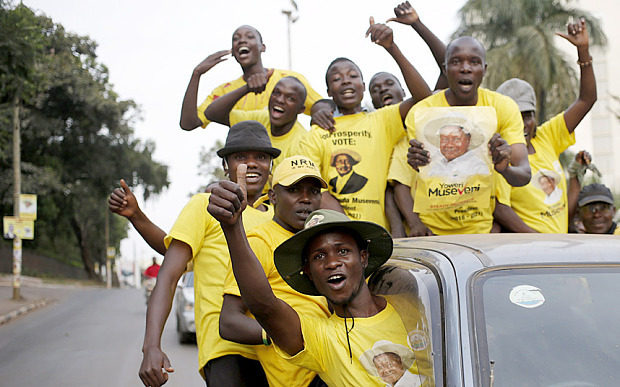 Supporters of Ugandan President Museveni celebrate his election victory in Kampala. 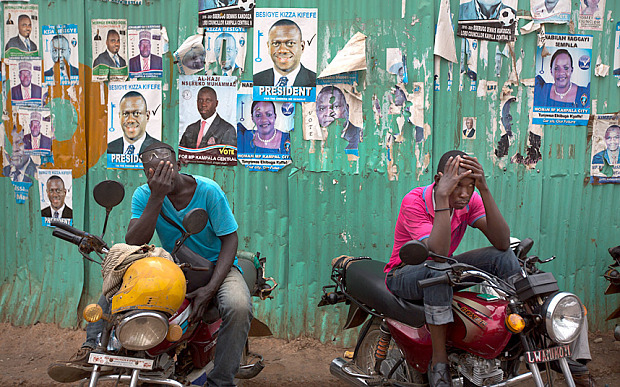 Dejected opposition supporters who work as motorbike taxi drivers hold their heads in their hands shortly after the election result was announced. The government’s Uganda Communication Commission blocked access to social media on election day which unreasonably constrained freedom of expression and access to information, it said. Rioting broke out across the capital, Kampala, when news broke that the police had arrested Mr. Besigye, President Museveni’s personal doctor when they were guerrilla fighters, in his office for running an illegal parallel vote counting center. Mr. Museveni, who is from the Banyankole ethnic group, helped Tanzania and other rebels oust the Ugandan dictator Idi Amin in 1979. In 1981 he played a key role in the rebellion that ousted Milton Obote. He came to came to power in 1986 after defeating the military junta of Tito Okello. His government brought stability and economic growth to Uganda, with donors eager to plough money into the country after decades of conflict. 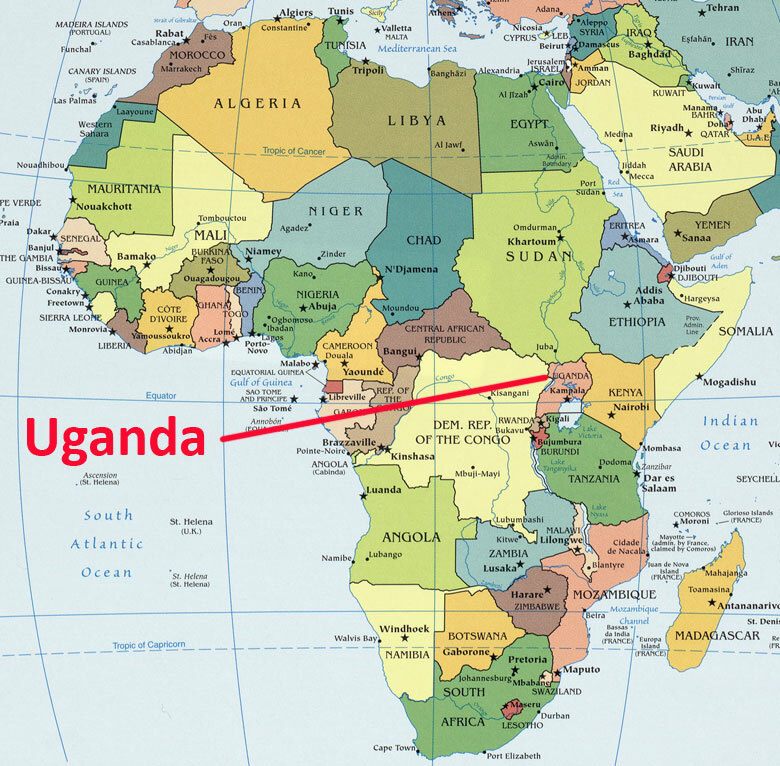 In the late 1980s and early 1990s Uganda was hit by a massive Aids pandemic. Museveni was praised for overseeing a comprehensive Aids program, giving hundreds thousands access to prevention, treatment and care services. (from London’s Daily Telegraph) – More than 9,000 people in China will be forced to leave their homes to make way for the world’s largest radio telescope as part of the country’s ambitious hunt for aliens. 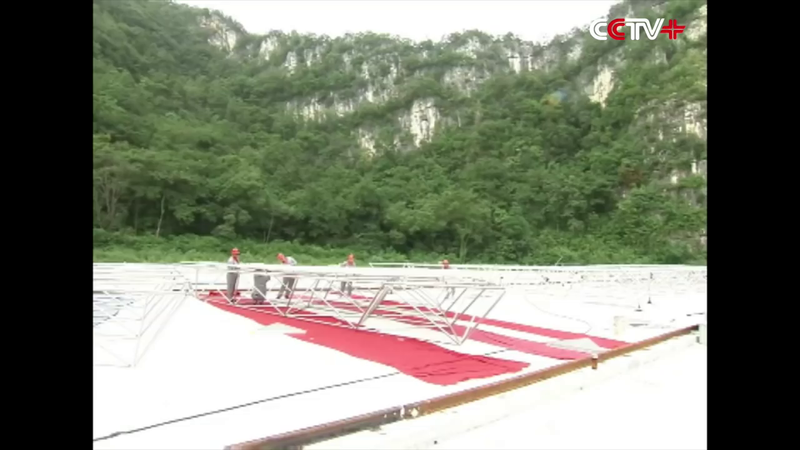 Authorities in south-western Guizhou province will relocate the families to make way for the launch of the world’s largest radio telescope. 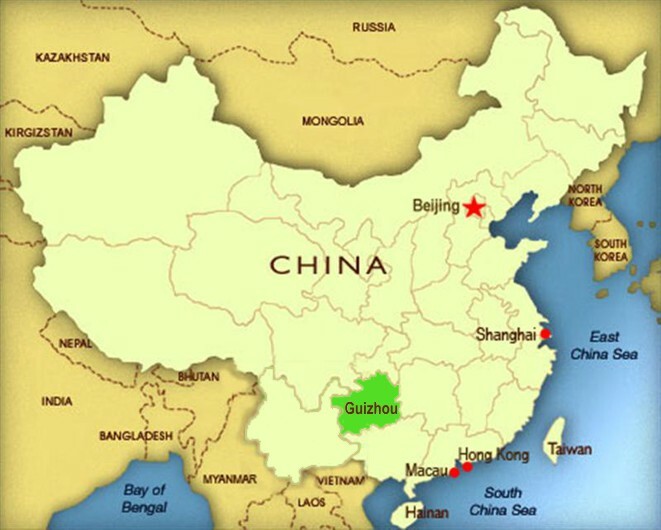 Guizhou is one of the poorest provinces in China. The five-hundred-metre (1,640 foot) Aperture Spherical radio Telescope under construction in Pingtang county in southwest China’s Guizhou province. Xinhua reported that 2,029 families, a total of 9,110 people from Pingtang County and Luodian County will be affected. Forced relocation to make way for infrastructure projects is common in China and affected residents often complain about the eviction and inadequate compensation. Coverage of this project in the communist government’s state-controlled press has been focused on China’s technological advances. According to the China Daily, the telescope is unique because of its 4,500 panels, mostly triangular shaped that create a parabolic shape.The panels can move and alter the shape of the antenna, which picks up signals from far off corners in the universe. “With a larger signal receiving area and more flexibility, FAST will be able to scan two times more sky area than Arecibo, with three to five times higher sensitivity,” Li Di, chief scientist with the National Astronomical Observatories told China Daily. “Ultimately, exploring the unknown is the nature of mankind, which is as [instinctive] as feeding and clothing ourselves. It drives us to a greater future,” he said. Construction on the 500m Aperture Spherical Radio Telescope or FAST began in 2011. It is being built in the Dawodang depression in Guizhou Province where the natural landscape provides the perfect size and shape for the construction of the telescope. The ground also provides enough support for the gigantic telescope. The porous soil forms an underground drainage system that protects the telescope. With only one town in the 12 miles radius, the Dawodang depression is extremely isolated from magnetic disruptions. The remoteness of the location also protects the surrounding landscape from any damage. Once it is completed in September, the telescope will measure 500m in diameter, which dwarfs the 300m-diameter Arecibo Observatory in Puerto Rico. The Chinese FAST will be able to survey the outer space ten times better than Arecibo. b) What is NATO and its purpose? 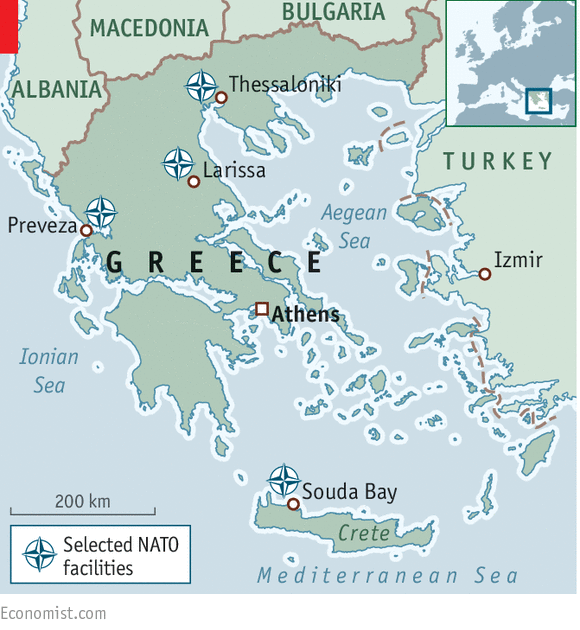 c) What will/won’t NATO patrols do in the Aegean Sea? d) Why is NATO only getting involved now? e) Ask a parent: do you think this is the best/only solution to preventing people from making the dangerous sea journey? Explain your answer. b) For what reasons do election observers say the election fell short of key democratic benchmarks? Be specific. c) Why did police arrest President Museveni’s opponent? — How did the people react to this news? 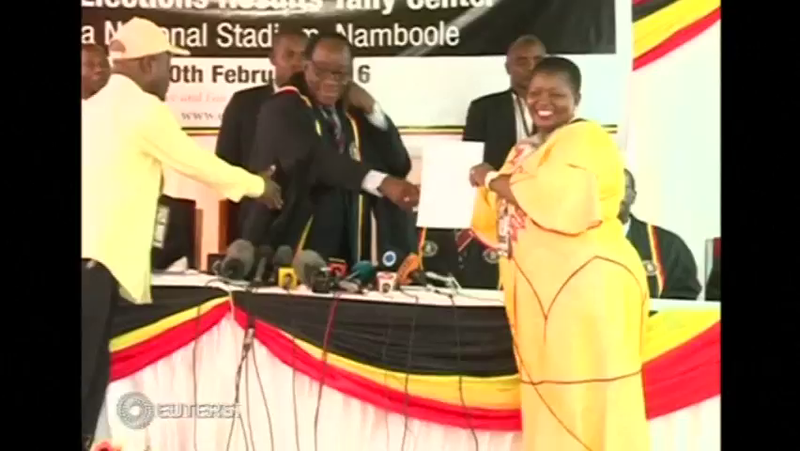 d) What positive outcomes has President Museveni been credited with overseeing? Museveni started out making a positive impact on the country through his leadership. Why do you think he has become more authoritarian over the years? 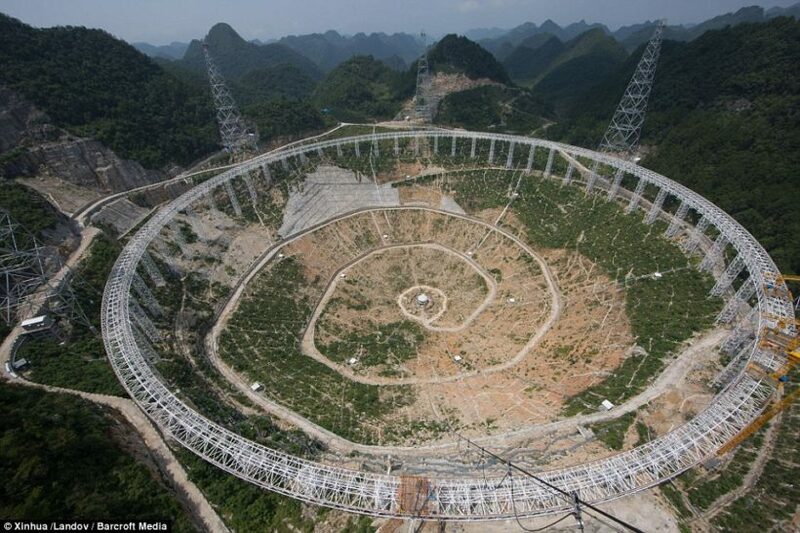 b) How many people is the government moving out of Guizhou province to make way for the world’s largest radio telescope? c) State-run Xinhua news agency reported that officials will “evacuate” all homes within three miles of the radio telescope. Why did officials choose this area, where so many people are being forced out of their homes? d) Forced relocation to make way for infrastructure projects is common in China and affected residents often complain about the eviction and inadequate compensation. Do you think the people would be less upset if the government over-compensated them and helped them relocate or would it make no difference? Explain your answer. e) Li Di, the chief scientist of the National Astronomical Observatories Chinese Academy of Sciences, said: “FAST will remain the best in the world in the next twenty to thirty years after it is completed. We are aiming to discovering something that is worthy of a Nobel Prize. Although we built the telescope, we welcome scientists from all around the world to use it.” Li Di added. What do you think: is China’s quest for this technology more important than the homes of 9,000 people? Would it make a difference if the exact location they chose for the radio telescope was the only spot that would fulfill the requirements? Explain your answer. TURKEY – ON NATO: The North Atlantic Treaty Organization (NATO) is an alliance of 28 countries from North America and Europe committed to fulfilling the goals of the North Atlantic Treaty signed on April 4, 1949. …The fundamental role of NATO is to safeguard the freedom and security of its member countries by political and military means. The Standing Maritime Group is a force used by Nato to respond to crises around the world, and is usually made up of Nato members with a significant navy, including Britain, the US, Spain, Canada, Holland, Norway, Italy, Greece and Turkey. When not on crisis duty they work together in military exercises. It would also probably mean that Nato would have to downscale its anti-piracy mission off the Somali coast and Indian Ocean, where piracy has ebbed away in recent years as commercial ships have begun to deploy armed guards. 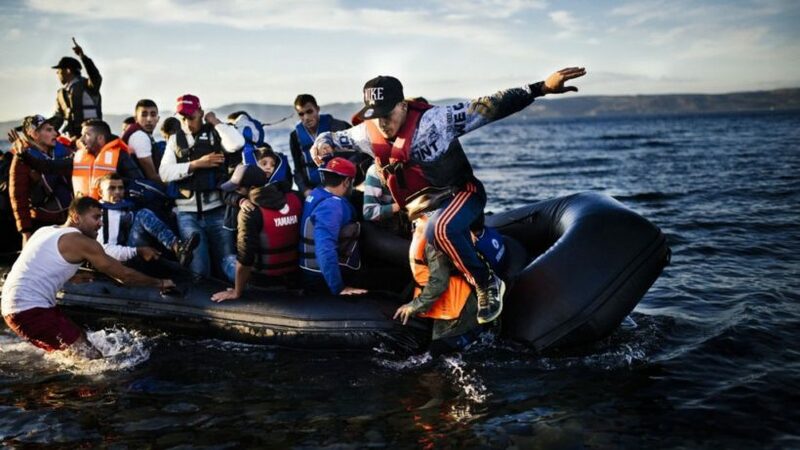 People smugglers in Turkey have told Sky News NATO’s warships will not be able to stem the flow of migrants and refugees heading across the Aegean Sea to Europe, or disrupt their networks. Mohammed has been involved in the human smuggling trade for the last two years. He says the gangs are too well organized and there’s too much money involved for it to be halted. “The smuggling will not stop – as long as people want to be smuggled the smuggling networks will continue to operate,” Mohammed told Sky News. NATO says its mission will not be involved in rescuing migrants, or turning their flimsy crafts around and away from Europe. With such a long stretch of coastline it is hard to see what difference the operation will make. On one of Izmir’s (Turkey) busiest streets the smuggling business is conducted in plain sight. Syrian families wait on the streets whilst the men disappear into back alleys to cut deals with the traffickers. The winter rate is between £5 and £600 per person. In the last few weeks trade has picked up dramatically despite the dangerous seas – it is a simple case of cause and effect. The worse the bombing, the more desperate people there are on the move. And at the moment the bombardment in and around Aleppo is massive. The Turkish authorities say they are trying to disrupt the smuggling networks. But with Syria disintegrating demand for their services will only keep growing as more refugees make their way to Europe. A radio telescope is a form of directional radio antenna used in radio astronomy. The same types of antennas are also used in tracking and getting data from satellites and space probes. In their astronomical role they differ from optical telescopes in that they operate in the radio frequency portion of the electromagnetic spectrum where they can detect and collect data on radio sources. Radio telescopes are typically large parabolic (“dish”) antennas used singly or in an array.